(Hong Kong, June 26, 2012) Paris — Hong Kong, 26 June 2012. On June 26th, the International Day in Support of Victims of Torture, ACAT-France, in collaboration with the Asian Legal Resource Centre (ALRC), releases “When arbitrariness prevails” a new report providing an overview of the phenomenon of torture in Sri Lanka. The findings are devastating: three years after the end of the conflict between governmental forces and the Liberation Tigers of Tamil Eelam (LTTE) the use of torture and ill-treatment remains widespread and routine, the impunity of authors of torture is generalized. « When I came to file a complaint on behalf of my husband, kept in custody and tortured, police officers threatened me saying that they could not only torture him, but kill him », told the wife of a victim to ACAT-France during a mission in Sri Lanka. Many other accounts show the feeling of arbitrariness and impunity prevailing in Sri Lanka for perpetrators of torture. Torture is used by security forces across the country to extract information, obtain false confessions to close criminal cases or extort money or favours. Furthermore, the situation is worrying for those suspected of having ties with the LTTE. They are arrested and detained, sometimes in secret, for an unlimited period without access to a lawyer or their families. The use of cruel and degrading treatment is also frequent in prisons and seems to act as a form of detention management. “Although the government continues to tell the international community that it is implementing a zero tolerance policy as regards torture, these claims are only empty shells”, declared Christine Laroque, Asia programme manager at ACAT-France, “there is a total lack of sincere political will to eradicate these practices”. Despite the thousands of cases of torture documented by NGOs and submitted to the justice system, the latter has only passed four sentences for torture since the anti-torture law was adopted 18 years ago. 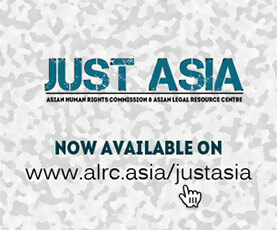 “The judiciary has been seriously undermined by the political authorities,” according to Basil Fernando, Director for policy and programs at the ALRC and Asian Human Rights Commission. “All attempts to fight impunity are hampered. There are no investigations following allegations of torture. The courts no longer exercise independent judicial control in most cases and the Attorney General protects State officers accused of torture by blocking criminal cases”. Victims and witnesses are subjected to intimidation and reprisals. Some have been killed or have disappeared after being kidnapped. In February 2012, a man was kidnapped in front of his wife and children in broad daylight by men armed with assault rifles. He had complained to the Supreme Court after 28 months of arbitrary detention and torture and was supposed to testify two days later before the Court, implicating senior police officers. He has not been seen since. Against this background, many people prefer to remain silent, considering that it is dangerous and pointless to complain. ACAT-France and ALRC submitted a series of recommendations to the Sri Lankan authorities. They urge them to prevent torture and ill-treatment and to ensure that the perpetrators are severely punished.